Brian Romero A Lambo Trip to the Moon. Limited Edition of 21, Available on the R.A.R.E. Network. The blockchain revolution is largely about taking money and power away from large, established, centralized institutions and moving towards a more decentralized model. Bitcoin, the best-known use case for blockchain, cuts out banks and credit card agencies by decentralizing trust and making direct peer-to-peer payment possible. Anne then argued that, “Even on this ideological level, these concepts are inherent to some of our market’s most established obstacles. 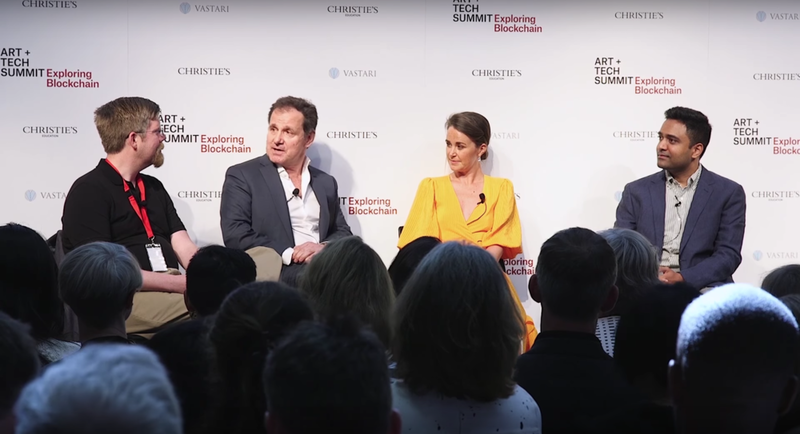 The technology is a natural fit.” I agree with Anne, but does this mean that Christie’s and others in the art world are ready for blockchain? I don’t think so. GDPR: The new “General Data Protection Regulation,” or GDPR, as it is known, was implemented on May 25th, 2018. GDPR includes a “Right to Erasure,” mandating that institutions be able to permanently delete personal information for EU customers upon their request. Penalties for failing to do so can be as high as €20 million or up to 4% of the annual worldwide turnover. The concern here, warranted or not, is that the blockchain is an immutable record, so there is no way to comply with GDPR to delete data from artists, buyers, or sellers without mass collusion. Several folks at the conference suggested this makes blockchain a non-starter for many of its more obvious uses in the art world. Scalability: Crytpocurrencies like Bitcoin and Ethereum are limited in the number of transactions they can handle in a given time frame. As the number of transactions increases, it can create a transactional traffic jam. For example, when CryptoKitties first came out, Etherscan reported a sixfold increase in the activity on the Ethereum blockchain. The thinking goes, if CryptoKitties can gum up the transaction speed of a popular blockchain like Ethereum, how can it be relied on for the world’s art-and-collectibles market? User Experience (UX)/User Interface (UI): Though touted as a means for a faster, frictionless buying and selling of goods, the truth is creating, buying, and selling goods on the blockchain is complicated at best and painful at worst. It requires connecting your bank account to currency exchanges to acquire cryptocurrencies, downloading third-party wallets like Metamask, and understanding public keys and protecting private keys. Decentralization: A core premise of blockchain is that no single entity owns the platform. However, it has been shown that 1,000 people own roughly 40% of the Bitcoin in existence. If this small number of people, whom are often referred to as “whales” in the blockchain community, start selling off a large portion of their currency at the same time, they can quickly devalue the currency - or worse, intentionally collude to engage in price manipulation. Essentially, a small number of people have the ability to dramatically alter the Bitcoin blockchain for everyone, which causes many to question how decentralized it actually is. Blockchain Literacy: Another problem is blockchain literacy for end users. Understanding smart contracts and whitepapers is beyond the skills of the average person. As a result, many believe projects built on blockchain to be decentralized as a matter of “faith.” Those able to read the smart contracts are starting to point out that many them have pause buttons built into them that empower a single person or group of people to stop the application and rewrite its code after launching. While the developers often argue this is to identify and fix bugs, it is worrisome to many seeking truly decentralized solutions. Evolving Regulations: Governments are still catching up with how they want to treat blockchain-based tokens and currencies. The crux of this debate is whether to treat a token like a security or as a commodity. As long as the regulation from institutions like the SEC are still in flux, there is added risk for institutions in adopting blockchain-based solutions. ICO Scams: 2017 was the year of the ICO (initial coin offering), and we saw many companies like Bitconnect (hey, hey, hey) raise enormous sums of money on ideas or products with no real merit. Many other companies simply added “blockchain” to their names to drive up their stock price, a practice that is actively being shut down. Energy Consumption: Blockchains that leverage “proof of work” consensus mechanisms like Bitcoin and the current configuration of Ethereum are notorious for massive power consumption. While many are exploring moving to “proof of stake” as an alternative, this approach has its own critics. Given all these problems, why are folks like Anne and I so bullish about the opportunities for blockchain in the art world? Because all of the problems listed above represent enormous opportunities for artists, creative technologists, and scrappy startups. Unlike large enterprises, lawyers, and financial institutions, whom all are wired to enumerate problems and mitigate risk, startups and creative technologists see risk as opportunity and are wired to embrace it to build new solutions. Having grown up in a family of engineers, I prefer to get my knowledge of new tech trends like blockchain from people who are actually building things. Inevitably, these folks speak of tech in much more realistic terms, skipping the sermons about blockchain as either the “second coming” or the “antichrist.” Instead, they see it as a database with some unique properties and prefer building things to prophesying. Lots of cool projects have been built in the digital art space over the last five years, so I believe it is the best place to get away from navel-gazing theory and fiery fear mongering and to actually see what can be built. 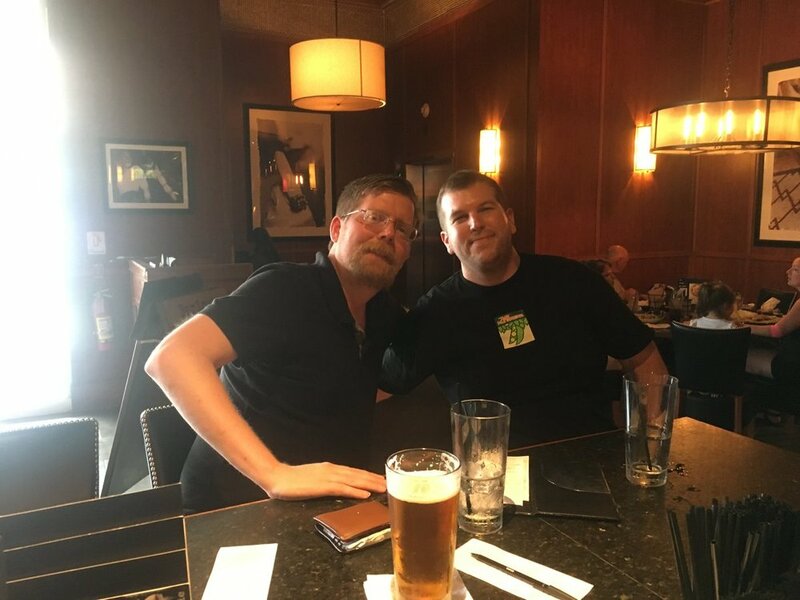 In the last few weeks I have been lucky enough to grab dinner with both Joe Looney, the creator of the Rare Pepe Wallet, and Matt Hall and John Watkinson, creators of CryptoPunks and Choon. Rare Pepe Wallet and CryptoPunks are the first two important use cases for art on the blockchain for Bitcoin and Ethereum, respectively. What struck me was how similar these two conversations were. Both Rare Pepe Wallet and CryptoPunks were experimental projects that grew organically and brought little to no profit to their creators, but formed the foundation for what is now a thriving digital art-and-collectibles space. Similarly, Matt and John told me they had no idea if people would even claim all 10k CryptoPunks when they were free, never mind the emergence of a secondary market. CryptoPunks was initially just a creative experiment that ended up taking off and proving out a use case for collecting digital art on the Ethereum blockchain (a model later popularized further by CryptoKitties). 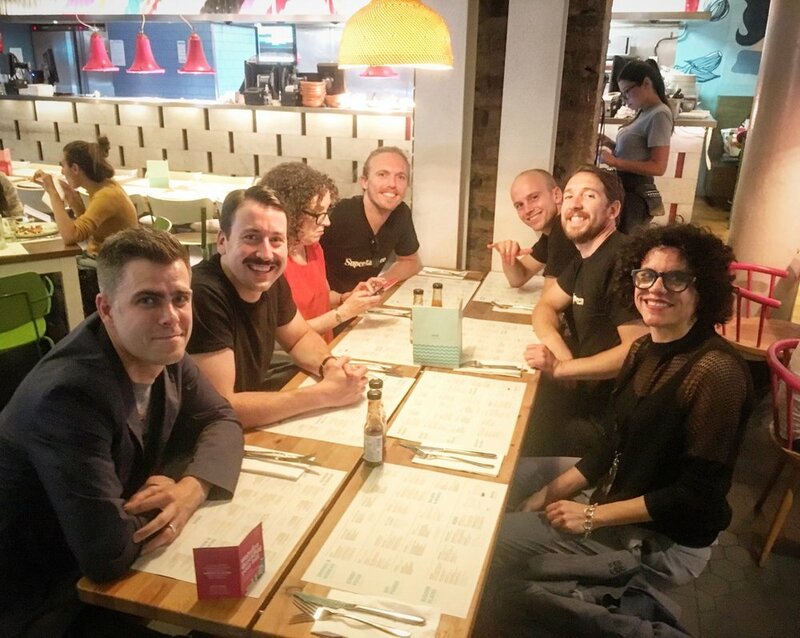 From left to right: Matt Hall, CryptoPunks - John Zettler, R.A.R.E Digital Art Network - Judy Mam, Dada.nyc - John Crain, SuperRare - Charles Crain, SuperRare - John Perkins, SuperRare - Bea Ramos, Dada.nyc. As a direct result of the experiments that Joe, Matt, and John did with tokenizing art and developing markets, we now have half a dozen marketplaces for digital art, including RARE Digital Art Network, SuperRare, and Dada.nyc, who were all at the blockchain event at Christie’s. What If We Could Build an Auction House Starting From Scratch - Using Blockchain? 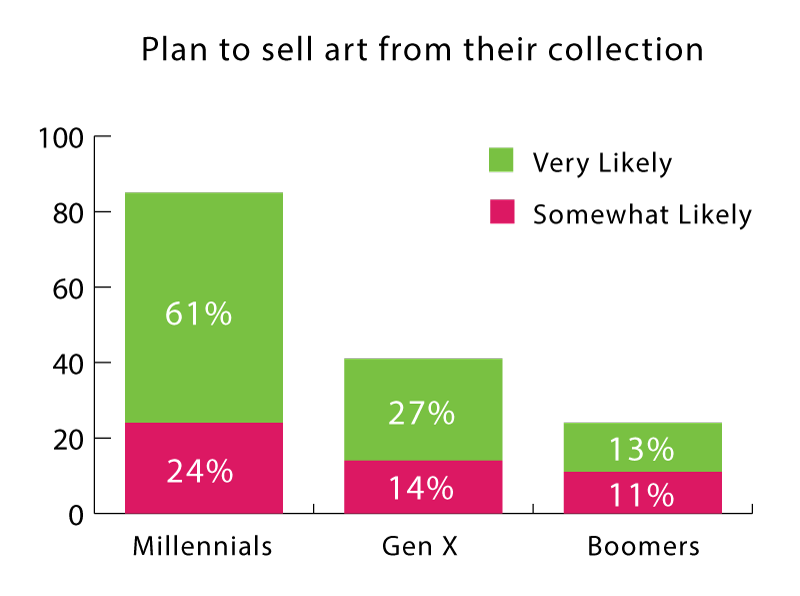 A recent article from Evan Beard does a phenomenal job of outlining the trends in art collecting among the fastest growing group of art collectors: millennials. According to Beard’s research, more than any generation prior, millennials are treating art as a financial asset. You may be surprised to hear that the generation famous for coining the phrase HODL (holding on to your cryptocurrency) are “three times more likely than boomers to sell works they’ve collected (85% to 24%), and more comfortable using art as loan collateral.” This amounts to a fast-growing and underserved segment of collectors with a desire for a more liquid art market. I believe there is a tremendous opportunity to construct a blockchain-based solution for auctioning art from scratch, building from the ground up to serve this growing segment of young artists and collectors. Without the overhead of decades of legacy technology and centuries of institutional dogma, the right entrepreneurs could accomplish in the auction space what Amazon, Airbnb, and Uber/Lyft have accomplished in their respective fields by embracing technology and being data-driven from their inception. I believe in this so strongly that I am excited to announce that I have agreed to join Portion as an official advisor. Fifteen years ago, most people would have thought you were crazy if you described the business model of Airbnb or Uber/Lyft. The hospitality and transportation industries both were well established with powerful incumbents who seemed poised to crush any competition. Besides, who would have predicted that everyday people would be willing to put their spare rooms up for rental or to drive around offering rides to complete strangers in their spare time? Like Airbnb and Uber/Lyft, Portion enables everyone to participate in a market that was once solely the domain of experts: Portion “allows anyone to be their own auction house.” This is not limited solely to auctioning of goods, as Portion is building all the services typically expected from an auction house, but with some nifty twists thanks to blockchain and other technologies. The promise of a decentralized and fully transparent auction process with built-in protection against fraud is, of course, very compelling to artists and collectors alike. Needless to say, I am excited to work with Portion on defining what the auction process of the future could look like when you are able to build it from scratch. The history of our most important cultural treasures - our art - has been deeply compromised due to the lack of a singular registry or database crossing the works of all major artists. Estimates range from 10 to 20 percent of all art either being forged or misattributed. Appalled by this, I spent the better part of my discretionary income and time for the last three years building the world's largest analytical database of known works by our most important artists and conscripting a small army of art nerds to help me grow it. I've always known this problem is too large to solve alone, so I am overjoyed by the number of solutions spinning out of the recent blockchain frenzy. Another key player in the blockchain provenance space is Artory, founded by TEFAF Chairman Nanne Dekking. I was lucky enough to have both Nanne and Jess as experts on blockchain provenance for the panel I hosted at Christie’s Art+Tech Summit. In our panel we had a spirited discussion with Nanne, making it a point to emphasize that Artory believes it is critical that only experts are able to update the information on artworks. This is in contrast to Codex, who are taking a more decentralized approach. Using me as an example, Jess explained that some people may believe I am an expert in digital art and others may not - but having a single person decide who the experts are may defeat the purpose of a decentralized registry. Nanne is strongly against this approach and voiced his concerns that only established experts should have access to updating the database, or else quality and credibility suffer. My instincts are that we need something in between Nanne’s and Jess’ approaches. I envision a system where anyone can make additions, but their credibility is tracked in a manner similar to Reddit or Wikipedia. This leaves the door open for new experts to emerge while respecting the skills and knowledge of existing experts. I also think it is healthy that there is passionate disagreement and multiple players in the blockchain provenance space (others include VerisArt and ArtChain). The problem of improving our records for artists past and present is complicated enough (and important enough) to warrant several teams and approaches. What About Institutions Like Christie’s? What role can large, storied institutions like Christie’s play in helping the art world adopt new technology and to keep up with the times? While graciously hosting the conference on blockchain, there were only a few hints that they may leverage blockchain technology themselves in some capacity in the near future. As a centralized institution, this makes sense to me. Richard Entrup, Christie’s CIO, mentioned they had recently spent ~$1M on preparing for GDPR compliance, and he did not sound eager about embarking on a new blockchain project of any real scope anytime soon. Despite Entrup’s reservations, Christie’s CEO Guillaume Cerutti stated in his closing remarks at the conference that Christie’s is exploring blockchain and would be making an announcement about their use of blockchain in the near future, but was not specific. I think this is a sound strategy on Christie’s part. They are in a fantastic position, having just announced a record £3bn first half sales for 2018 (eclipsing nearest competitor Sotheby’s). They are also adding new collectors at a rapid pace, with 27% of collectors during the record-breaking first half being new to Christie’s. Christie’s also has the dominant position in the online art market and are growing with online-only auction sales “up 40% to £27.7m.” Despite this growth online, the channel still represents just a small fraction of their total sales. Christie’s business is healthy and growing, so no need to change course or take risks on an untested technology. They have made the exact right move, in my opinion, by hosting the conversation on blockchain and bringing leading thinkers from faster-moving, less risk-averse startups (from whom they can learn and benefit from in the long term) into their home to discuss paths forward. I could easily see Christie’s going a step further and making some strategic investments in blockchain-based startups. This has become increasingly popular in other verticals where large corporations with dominant market share have started their own strategic venture capital arms. Many of blockchain’s strengths align perfectly with problems in the art world. There are still too many problems with blockchain for large, risk-averse institutions to adopt it widely for much other than accepting cryptocurrency payments. This is okay because scrappy entrepreneurs will continue to embrace the risk, explore the technology, solve the problems, and develop more mature solutions that will eventually go mainstream. Digital art is the obvious use case and is innovating rapidly. There is an opportunity to create a disruptive auction house built from scratch leveraging blockchain. Regardless of technology, we need to figure out who gets to add information to official records (provenance) for art. This information also needs to become more broadly available as part of a public record of our most important artworks. Large institutions like Christie’s should continue to support emerging technologies by hosting conversations and investing in smaller innovators in the art/tech space. Thanks to artist Brian Romero for letting me use his artwork A Lambo Trip to the Moon as the feature image for this blog post. The art is available in a limited edition of 21, available on the R.A.R.E. Network. Brian's piece perfectly captures the emotional polarity in blockchain right now between extreme optimism and extreme pessimism and serves as an excellent depiction of the collision of the traditional art world with the volatile worlds of crypto and blockchain. And finally, thanks to Anne Bracegirdle, Elliot Safra, and the rest of the Christie's team, as well as Bernadine Bröcker Wieder from Vastari, for inviting me to moderate the panels on digital art and provenance and for being such gracious hosts. Auction houses and the art world sometimes have a reputation for being snobbish or elitist, but I can tell that I was received warmly by everyone I met and had some great conversations. My roots are deeply blue collar and I am about as informal as it gets, so if I was made comfortable, then anyone can and should feel welcome in this environment. I will add the videos from those panels to this blog post once they become available. I’m hopeful that Christie’s will hold the conference again next year, and perhaps we can cover AI/ML (artificial intelligence and machine learning) for art, another great passion of mine.